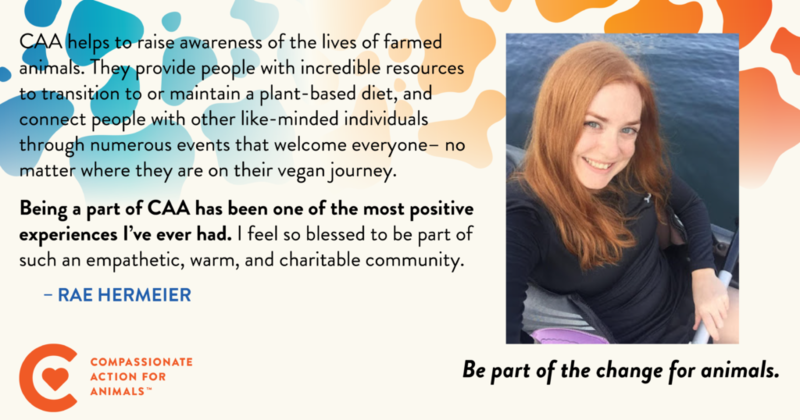 Whether you’ve been involved with one program or event or many, thank you for sharing your time and passion with the animal rights, plant-based movement! 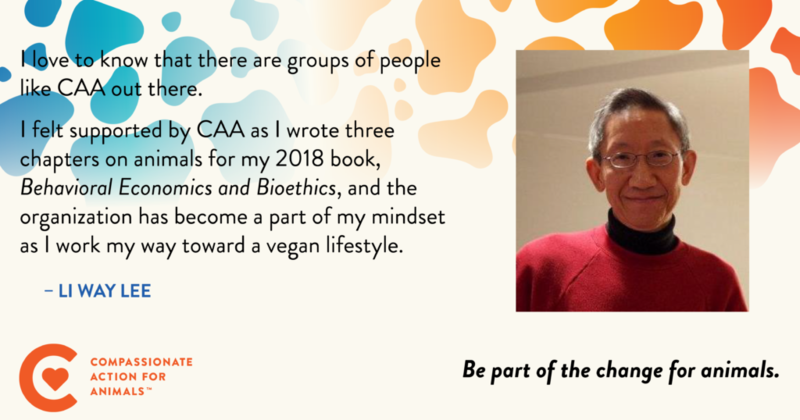 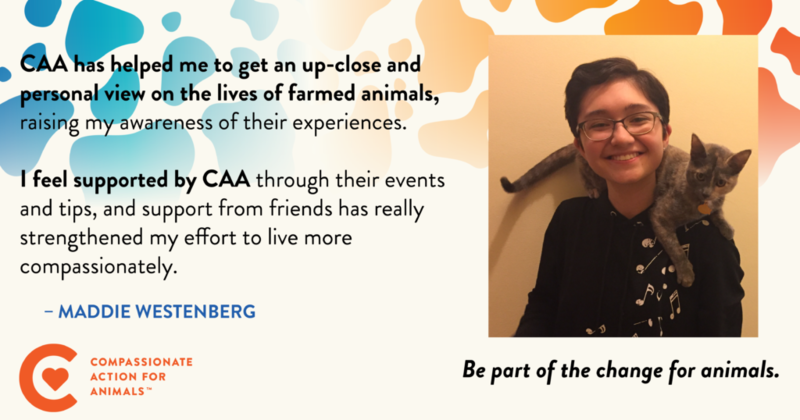 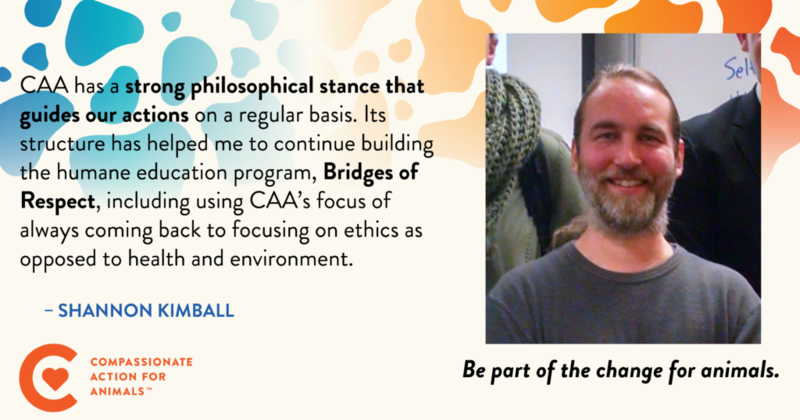 This week’s Volunteer Shoutout features a few more stories from volunteers about their CAA experience. 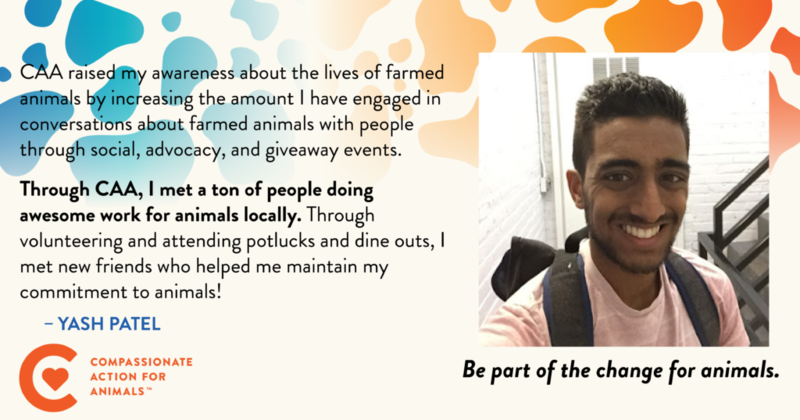 We’re grateful for the TLC they’ve put into growing and strengthening our community.